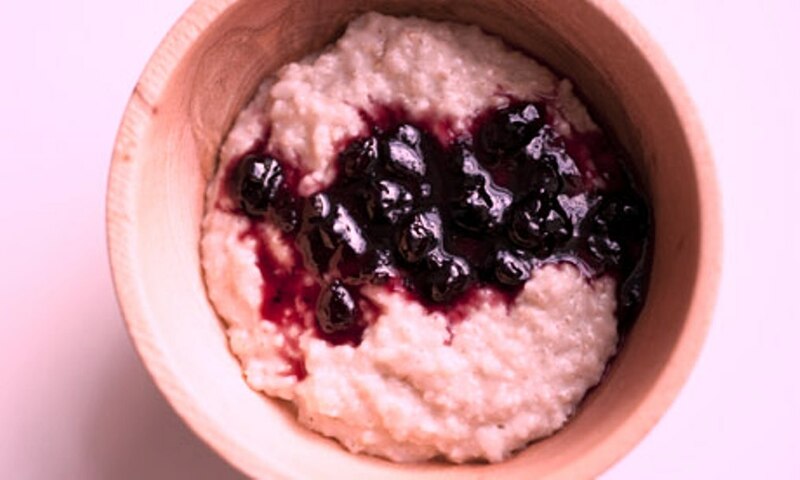 I was brought up on sweet, milky porridge made with rolled oats, but that all changed when I was shown how to make it by champion porridge maker Ian Bishop from Carrbridge in Scotland. My method is now his. Pour three cups of water into a small saucepan and place over a moderate heat. Tip in one cup of medium oatmeal and bring to the boil, stirring constantly. As soon as the porridge starts to blip, add half a teaspoon of salt. Continue stirring until the porridge has been cooking for a total time of 5 minutes. Tip into warm bowls. Have a bowl of cold milk or cream ready. Lift a spoonful of hot porridge and dip it into the cold milk or cream and eat. Only stir your porridge clockwise or you risk summoning the devil. A wooden spurtle will get right into the corners and prevent your porridge from sticking. Eat immediately it is ready. The porridge will thicken as it cools. 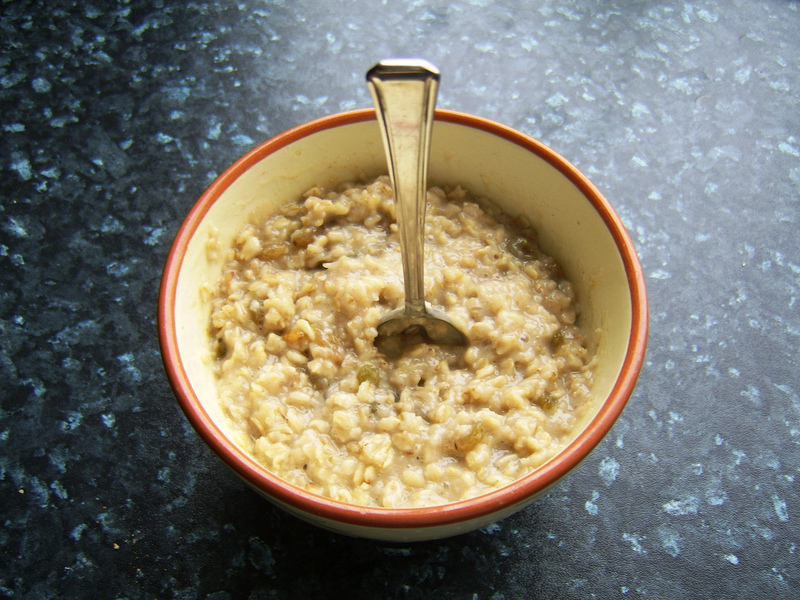 Use medium oatmeal rather than rolled oats. Add salt to all porridge, even if you are going to sweeten it afterwards. Each to his own, but porridge is correctly made with water rather than milk. The usual embellishments are red-berry jams, golden syrup or honey, but other ideas include a compote of stewed dried figs, maple syrup or a mixture of fresh berries, sugar and ground cinnamon. You could also leave it to set into cakes and fry it in butter. Oatmeal ice cream, made with toasted oatmeal and cream, while not quite porridge, is certainly worth a visit, too. Cider is such a great drink to use in your cooking, and the addition of Julian Temperley’s Kingston Black apple apéritif gives this Scandinavian dish a bit of a British kick. 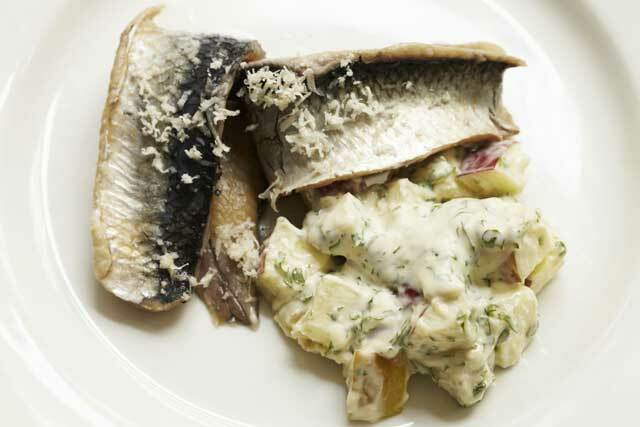 You will need to marinate the herrings for 4-5 days before serving. Bring all of the ingredients for the marinade to the boil then leave to cool and add the shallots. Mix with the herring fillets, then lay the fillets in a non-reactive container and pour over the marinade. Leave to marinate in the fridge for at least 4-5 days before serving. To make the sauce, mix the Kingston Black with the mustard and mayonnaise, then whisk into the marinade to about the consistency of double cream; stir in the dill. To serve, remove the fillets and dry on some kitchen paper. Fold them in half with the skin on the outside and arrange on a serving plate with a few of the shallots and green peppercorns on top. Serve the sauce separately. Prepare your vegetables. Chop your onion into small dice, about 5mm square. The easiest way to do this is to cut the onion in half from root to tip, peel it and slice each half into thick matchsticks lengthways, not quite cutting all the way to the root end so they are still held together. Slice across the matchsticks into neat dice. Cut your pepper in half lengthways, remove stalk and wash the seeds away, then chop. Start cooking. Put your pan on the hob over a medium heat. Add the oil and leave it for 1-2 minutes until hot (a little longer for an electric hob). Add the onions and cook, stirring fairly frequently, for about 5 minutes, or until the onions are soft, squidgy and slightly translucent. Tip in the garlic, red pepper, chilli, paprika and cumin. Give it a good stir, then leave it to cook for another 5 minutes, stirring occasionally. Brown the mince. Turn the heat up a bit, add the meat to the pan and break it up with your spoon or spatula. The mix should sizzle a bit when you add the mince. Keep stirring and prodding for at least 5 minutes, until all the mince is in uniform, mince-sized lumps and there are no more pink bits. Make sure you keep the heat hot enough for the meat to fry and become brown, rather than just stew. Making the sauce. Crumble your stock cube into 300ml of hot water. Pour this into the pan with the mince mixture. Open the can of chopped tomatoes and add these as well. Tip in the marjoram and the sugar, if using, and add a good shake of salt and pepper. Squirt in about 2 tbsp of tomato purée and stir the sauce well. Bring on the beans. Drain and rinse the beans in a sieve and stir them into the chilli pot. Bring to the boil again, and gently bubble without the lid for another 10 minutes, adding a little more water if it looks too dry. Taste a bit of the chilli and season. It will probably take a lot more seasoning than you think. 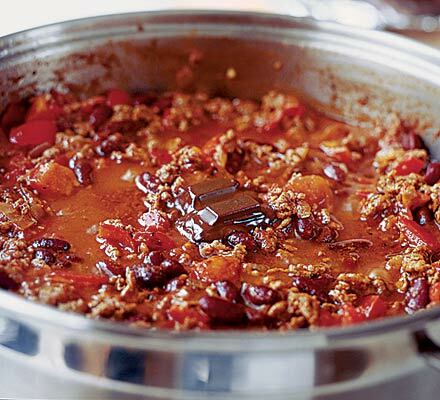 Now replace the lid, turn off the heat and leave your chilli to stand for 10 minutes before serving, and relax. Leaving your chilli to stand is really important as it allows the flavours to mingle and the meat. I often use this pastry recipe for tarts, as it’s buttery and crunchy. You will need a 23cm tart tin with a removable base. Place the flour in a food processor and add all the other ingredients. Pulse until it resembles coarse sand. Continue to pulse until the pastry forms a ball (add a little water if necessary). Wrap in parchment paper and chill for 30 minutes, then roll out and line your tart tin. Prick the base all over and return to the fridge for 30 minutes. Slice the apricots in half and remove the kernels. Put in a bowl and sprinkle over the sugar and lemon juice and set aside. Now blind-bake the tart. Heat the oven to 180°C. Line the tin with parchment paper and weigh down with baking beans. Bake for 10 minutes, remove and take off the paper and beans. 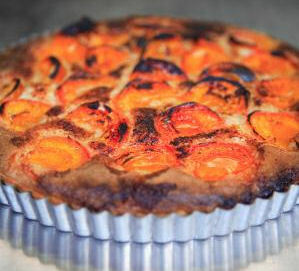 Arrange the apricots around the tart and sprinkle on the caster sugar. Return to the oven for 20 minutes, by which time the pastry should be nutty brown. Serve just warm rather than hot, with a big dollop of crème fraîche.